Ayoze Perez must surely be one his way out of Newcastle United after it emerged that the club has agreed a deal to sign Altanta United star Miguel Almiron in the January transfer window. US journalist Roberto Rojas, a co-host of LowLimitFootball, claimed via his personal Twitter account on Wednesday that Almiron’s switch to St James’ Park is a “done deal”. It is understood that the Paraguay international’s move is likely to go through next month and it will be an initial loan with the option to be made permanent in the future for £15million. Almiron has been in quality form in the MLS in 2018. The 24-year-old attacking midfielder has scored 13 goals and supplied 13 assists in 37 appearances across all competitions for Atlanta United this year, and he could well add to that tally in the MLS Cup final against Portland Timbers at the weekend. Almiron is one of the hottest properties across the Atlantic and while it is amazing news for Newcastle fans, it is surely bad for Perez, who plays in the same position as Almiron and is likely to be replaced. Perez, 25, joined the Magpies in 2014 and was tipped to be a future star of the Premier League. However the Spanish attacker has failed to reach anywhere near his potential with most of his performances in England’s top-flight being well below part and down right frustrating. He has remained a key player for Newcastle this season, appearing in 16 games in all competitions, but with his £45,000-a-week (Spotrac) contract expiring in 2021, a move away from St James’ Park is looking increasingly likely now that Almiron could be in to replace him. There is no way that Mike Ashley is going to spend £15million and not expect Rafa Benitez to balance the books by offloading players he currently has. 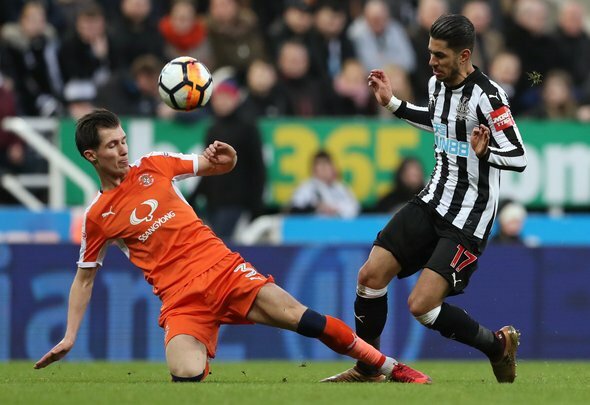 Perez may not be a great player but he is still young and has a lot of Premier League experience, so Newcastle could definitely receive a decent fee for him next summer if they choose to sign Almiron permanently.